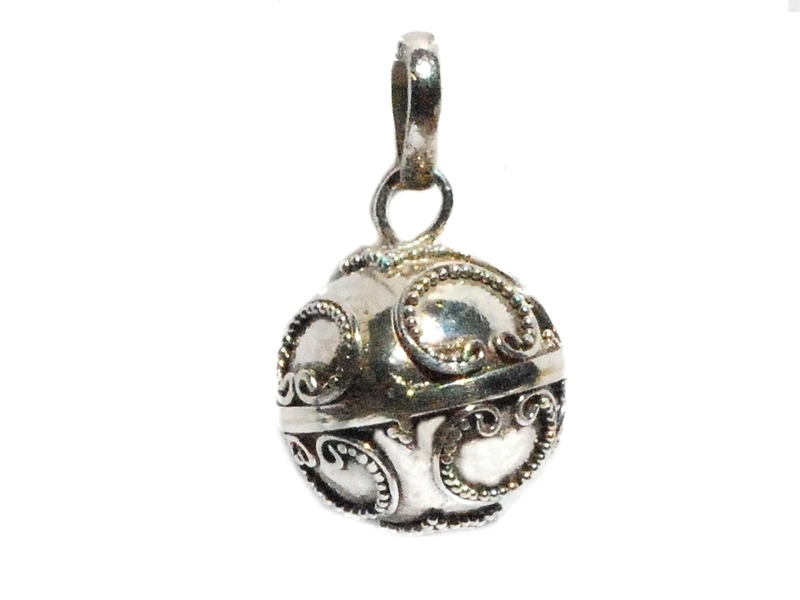 925 Sterling Silver hand crafted Bali Harmony Ball Pendant. When the ball moves it makes a soft chime sound.
. All measurements are approximate. All sterling is stamped 925 to assure Silver Content.